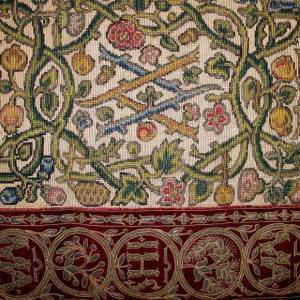 Early 17th century English needlepoint carpet. 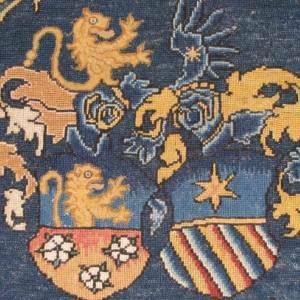 Circa 1880 English wool needlepoint chair seat. 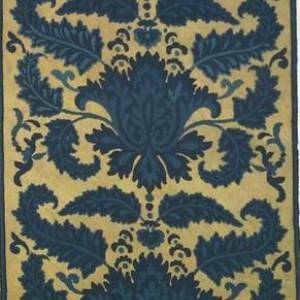 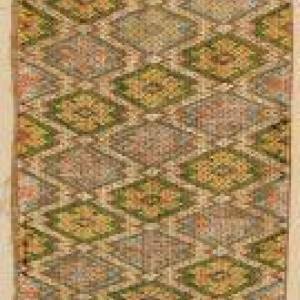 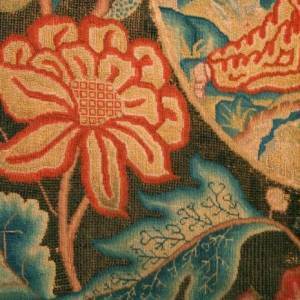 Circa 1700 English wool needlepoint panel. 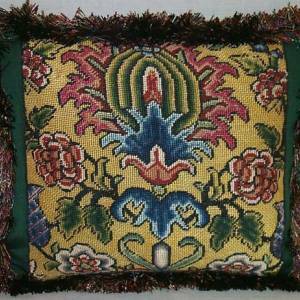 Pillow made from 18th century English needlepoint. 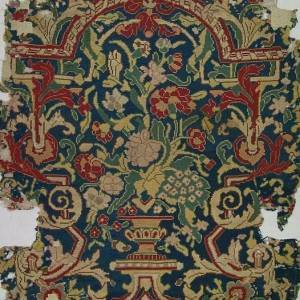 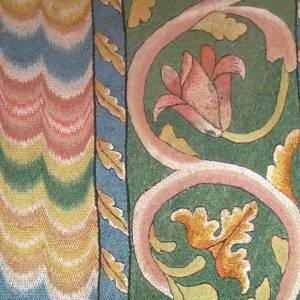 16th century English silk and metallic needlepoint fragment. 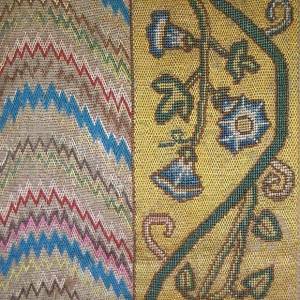 18th century English wool needlework panel with a central image of St. Francis. 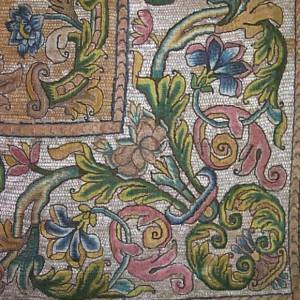 18th c. Italian silk flamestitch panel. 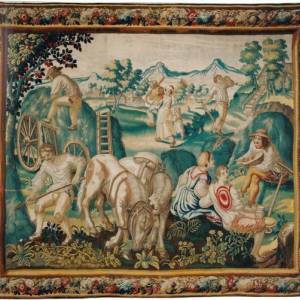 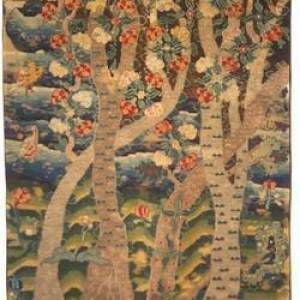 Circa 1675 Brussels tapestry, "Summer," from a series of the four seasons. 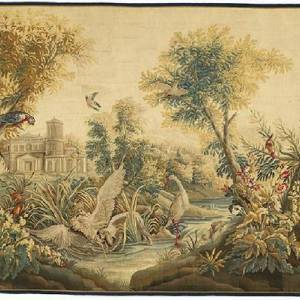 A very fine circa 1760 French Aubusson tapestry verdure.